Oracle Data Integrator (ODI) is a powerful data integration tool which supports a vast amount of integration technologies and has been designed in a way that significantly reduces Total Cost of Ownership (TCO). It provides organizations with one interface to access data among various disparate systems throughout the corporate system landscape and facilitates the creation of a business-critical data transfers between them. Acquired by Oracle in 2006, ODI evolved as the centerpiece of Oracle's Data Integration suite. Not only is it delivered with adapters - so-called Knowledge Modules - for all major technologies, it also suggests a new approach to data integration in general. First, the E-LT approach reduces TCO through running data transformation on existing database hardware and thus replacing a dedicated ETL server. Second, business logic can be separated from technical implementation which optimizes collaboration between business users and technical personnel. While ODI supports many different technologies, specific adapters have been created which enable simplified integration with Hyperion Planning, Essbase and Financial Management. These adapters significantly reduce the time and effort to load and extract data and metadata into/from Hyperion systems, no matter if the source data is in a flat file, a database or an Excel spreadsheet. Since the announcement that support and further development for Hyperion Application Link (HAL) will not be continued, more and more Hyperion clients successfully converted to ODI and acknowledged the benefits over HAL. ODI's modular approach based on Knowledge Modules and the ability to reuse custom code in various processes expedites the development process and enables the application of Best Practices to ensure the highest level of data quality. MindStream Analytics offers unmatched experience with Oracle Data Integrator in the Hyperion environment and can help you implement Best Practice data integration processes. Thus, root causes for discrepancies can be discovered from reading a notification email and the highest level of data quality is ensured. Our consultants are highly demanded and teach ODI with one of the most renowned independent Hyperion training firms. Whether you need an implementation partner for a new development or a HAL conversion, want to discuss use cases, or need coaching on existing processes, feel free to contact us. Want to know more about Oracle Data Integrator? Fill out the form below and we'll get back to you shortly. 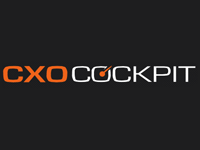 CXO Cockpit is web-based and mobile EPM reporting suite that offers relevant and interactive dashboards with real-time and financially relevant data to executives and the CFO Office, anywhere, anytime. What is Financial Close Manager?